Can you believe it is the last weekend in May already? Happy Memorial Day to everyone in the United States. I hope you have a fabulous Memorial Day Weekend and are able to spend time with family, friends and loved ones. I have been craving beaches and a tropical feel for my planner and because of that I created and added a Flamingos Weekly Sticker Kit to the Etsy shop. 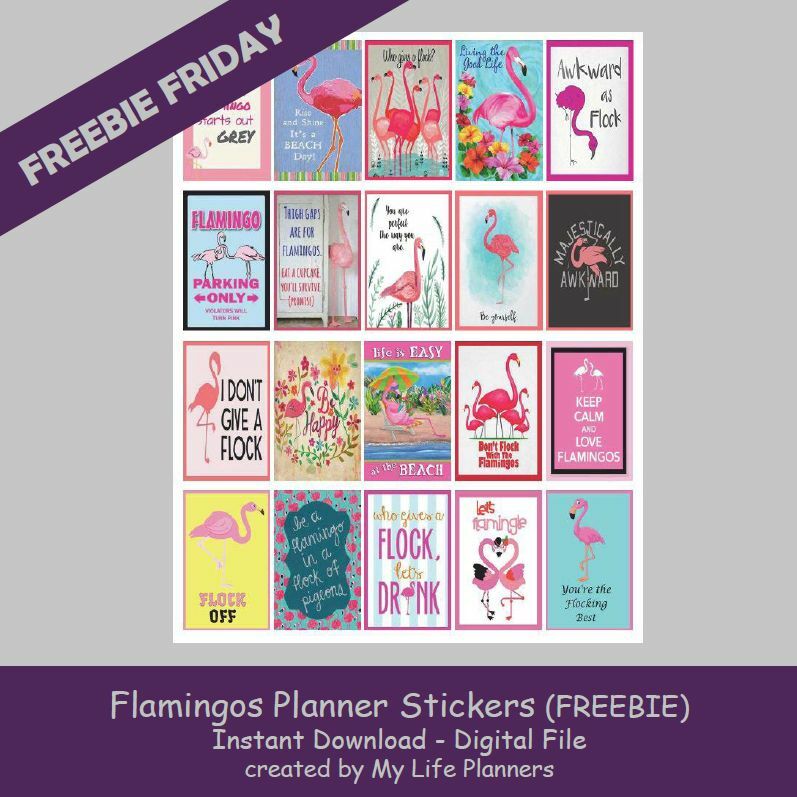 To keep that sunny feeling going, this week I decided to continue with the flamingos theme and make it the feature for this week’s Freebie Friday. Time to get your flamingo on and go big or go home.